Last year’s BBTS was most excellent, and we are thankful and appreciative to all who helped make it so successful. We are however, open to any comments, concerns or ways to possibly improve it for 2019. So, Please send a note or contact us with your comments. 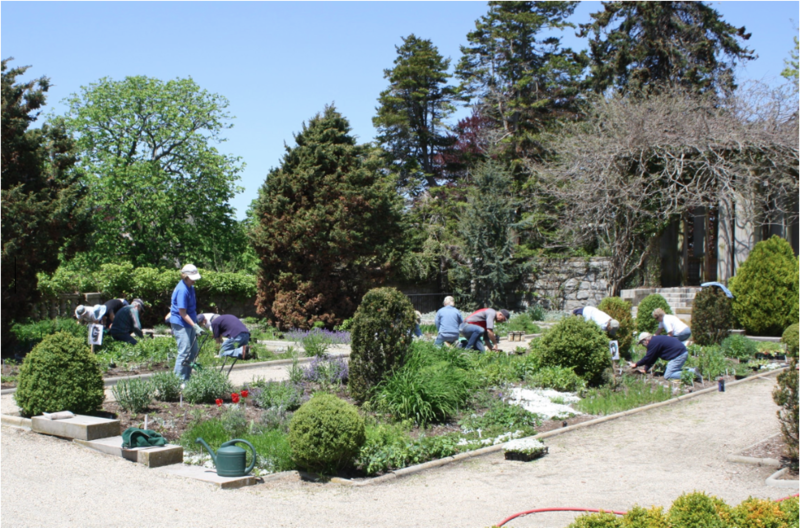 Join us and help plant the West Garden at Harkness Memorial State Park. This is The CT MG Club’s contribution to The Park which gives us the opportunity to use this beautiful location for our British By The Sea Gathering. Drive your MG, bring a picnic lunch, (as no food is available at the park), and a small hand trowel for a fun day at the park!! Please dress warmly, as there is always a breeze. We promise that there will not be any snow!!! Plan on being there at 9:30, but if you can't come for the whole day, come whenever you can. We will park in front of the Mansion Eolia. Enter through the MAINTANANCE driveway, which is just East of the Main Park entrance. Proceed up to the mansion EOLIA. Please drive slowly on the Park Roadways. Coffee and donuts will be served. For more information; call Annie Wincze @ 860-693-4249 or e-mail MGTDANNIE@GMAIL.COM. See Petr Hejl's aerial video of a recent British by the Sea event. FromI-95 take exit 75 onto Rt.1 East, continue approx.3.6 miles to a traffic light at Avery Rd [just past the post office on the right]. Turn right at the light onto Avery Rd. Follow Avery, which becomes Great Neck Rd. 3 ½ miles to Harkness Memorial State Park on the right. 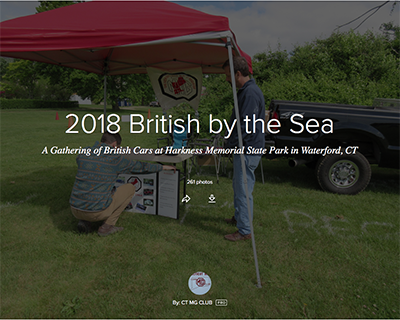 We are asking that you print out the British By The Sea 2019 advertisements that you see here and post them where you think that they will get the attention of prospective attendees.